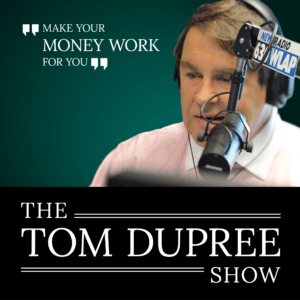 Phillip and Guy join Tom for this edition of The Tom Dupree Show. ⚙️If you are counting on your home that you own to finance your retirement…you might be in trouble. ⚙️Everyone is risk averse to an extent. What is your risk tolerance? ⚙️States need to spend on infrastructure but pensions and budgets are getting in the way. How are we going to pay to take care of our roads and bridges? Want to invest with confidence…LISTEN NOW!